Zimbra 8.8.8 is here, and it delivers! 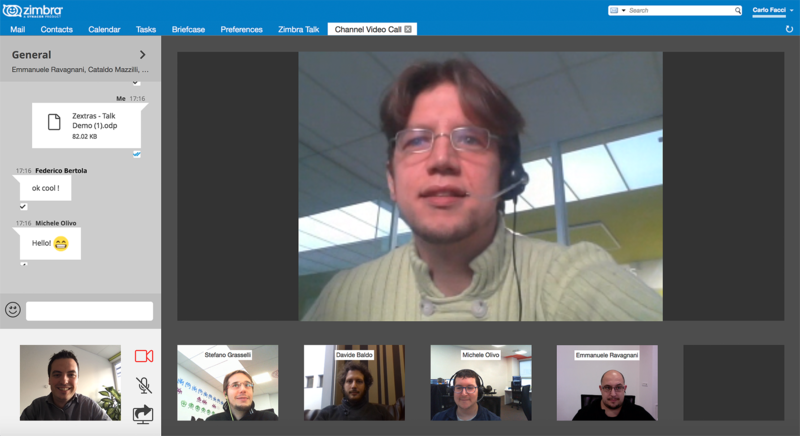 Zimbra Talk V2! An enterprise-level messaging platform inside the Zimbra Web Client, with no 3rd party products or extra install steps. Stay tuned for more information, product demos and more! 6 Responses to Zimbra 8.8.8 is Here – with NEW Zimbra Talk V2! Thanks for the update. Is Talk v.2 included with the Open Source Edition as well as with Network Edition? Hi John – Yes, the basic Zimbra Talk V2 functionality is included in OSE, which is basically Zimbra Chat. To enable the advanced Zimbra Talk V2 functionality, you must purchase the Zimbra Talk license. We have 8.5.1_GA_3056.Network version. Could we use Zimbra Talk V2 ? Hi Andres – please check with your Zimbra Sales Rep to find out how to upgrade to Zimbra 8.8 to use Zimbra Talk. Thanks! So the video part of Talk is not free with the Open Source Edition, how much is it? I have 450 users, do I have to buy 450? Hi Rob – please contact your Zimbra Sales rep for all the info on Zimbra Talk. Thanks!